Confidential Shredding & Recycling, Inc. was established in Tallahassee, Florida in 2005. CSR was founded by a Tallahassee family of entrepreneurs that were interested in high security on-site document destruction. CSR is a Certified Minority/Women Owned Business Enterprise with the State of Florida. We are also a certified Small Business Enterprise with Leon County and the Leon County School Board. All of our employees have had a thorough background check and drug screening. We strive to provide Tallahassee and the surrounding areas with the most secure document destruction service. CSR values our community and believes in protecting our citizens and their environment. All materials that CSR, Inc. destroys are shredded with much confidentiality and then paper materials are taken to be recycled. Confidential Shredding & Recycling, Inc. is committed to protect confidential information through secure and environmentally conscious technology. 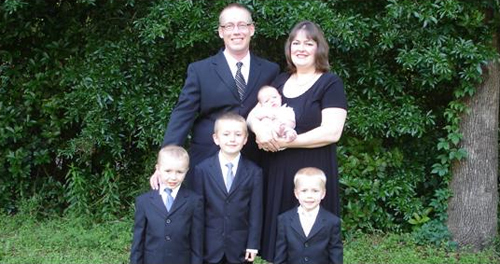 Steve and AmyLynne Aldredge and their children Hamilton, Jackson, Flyntt and Phoenix.